Did you know that getting more sunlight can boost your mood, strengthen your bones, and even lower your risk of cancer? In Northern Indiana, going outside year round is difficult unless you love cold and snow, so we’re locked inside for 4-5 months of the year. If you want all of the beauty of nature in the Winter months without any of the cold, adding a sunroom to your home is the perfect solution. This year, give yourself a Christmas gift that you’ll enjoy year-round for years to come! Keep reading to learn more about sunrooms and some of the many benefits homeowners can enjoy when they add one to their home. A sunroom is a room that’s built primarily out of glass. The purpose of adding a sunroom on a deck is to open up your house so you can enjoy the outdoors without facing all the elements. They also add extra space to your home for relaxing and entertaining. A sunroom addition can be quite affordable. Since they’re cheaper than adding more standard rooms to your home, you can increase your home’s value and living space without a hefty price tag. You can add on sunrooms to any style of home and achieve a stunning effect. The best part is that you can enjoy the sunshine any time of the year. Unlike screened-in patios, sunrooms utilize the best technology to make sure the room stays comfortable all year. Did you know that nearly half of Americans are deficient in vitamin D? Although you can consume this vitamin from fortified foods, the most effective way is to get more sun. Installing a sunroom is the best way to get more vitamin D and combat seasonal depression disorder without having to worry about harmful UV rays that age your skin. Your guests will be amazed when they see your sunroom. All of the natural light and scenic views make the perfect setup for entertaining. You can decorate your sunroom to fit any theme you want. Christmas trees, holiday lights, stockings, and other festive decorations will make your sunroom a Winter Wonderland. During the summer, you can hang a hammock, install a bookshelf, and decorate with potted plants to give your room a tropical vibe. It’s the perfect space to get your summer reading done and unwind. Imagine waking up and brewing your favorite cup of coffee or tea. You nestle into your cozy sunroom and sip while taking in the sunrise and foliage surrounding your home. This will be the highlight of your day. Since sunrooms are so spacious, you can do anything you want in them. You can set up an art studio, a warm living space, or an indoor garden. You can even transform your sunroom into a home office. In this beautiful space, your work won’t feel like work. To get the most out of your sunroom, you should make the surrounding outdoor space as pleasing as possible. Having a lush garden does more than making your view incredible. You’ll also have the pleasure of watching the local birds, butterflies, and other cute critters that are attracted to your garden. 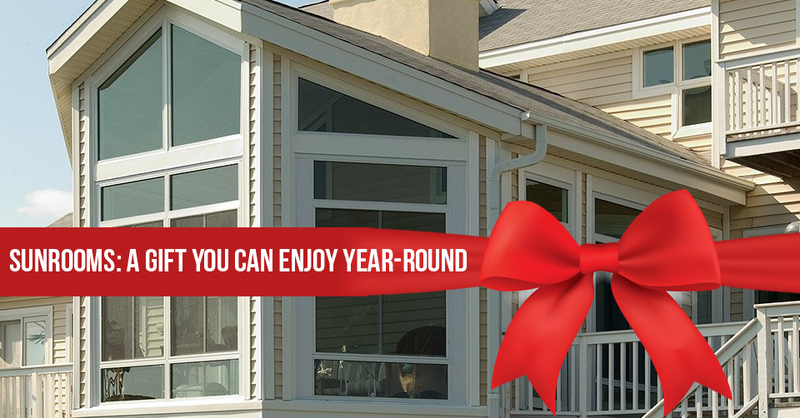 Ready to Build Your Dream Sunroom? Once you install your sunroom, you’ll wish you’d had one your whole life. If you want the perfect sunroom, W.A. Zimmer Company would love to make the job easy. Learn more about our sunroom services to see how we can revolutionize your home.